Allow your users to send file messages to each other. 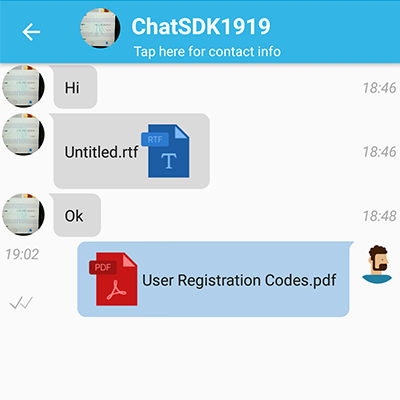 Files can be uploaded from the Android File Picker and then viewed or saved from directly from inside the chat. The documentation for this module is available here.